Security tokens are the new talk of the town. If you haven’t heard about them yet, you are missing out on a great deal. Make no mistake, security tokens are not like utility tokens, and that’s why they need special infrastructure as well as a whole new approach to come to life. So many companies are working towards this goal and are making the cumbersome process of launching security tokens easy & accessible to publicly listed companies. Cumbersome because for a security token launch you will need to deal extensively with advisors, lawyers, regulators, and finally with technical platforms for the launch of your token for trading. And this is not easy. So in today article, we are going to discuss some of the blockchain-based companies that are working towards this goal and making the security token launches easy. Polymath is branding itself as the Ethereum for security tokens. And as I shared with you in the introduction, Polymath is providing the technical and legal solutions for securitizing your stocks, bonds or other assets on a blockchain. They have their own ST-20 token standard for it and also their native smart contracts. Plus, they have industry partnerships with the likes of tZero that will provide the much-needed liquidity for the security tokens launched on Polymath blockchain. And just like Ethereum, Polymath has its own native token, i.e., POLY and is used as an economic unit for all the operations on the Polymath’s blockchain. Securitize is another blockchain platform that provides an end-to-end platform for issuers that are seeking to tokenize assets. Here the assets can be funds, a company or any other real form of asset. 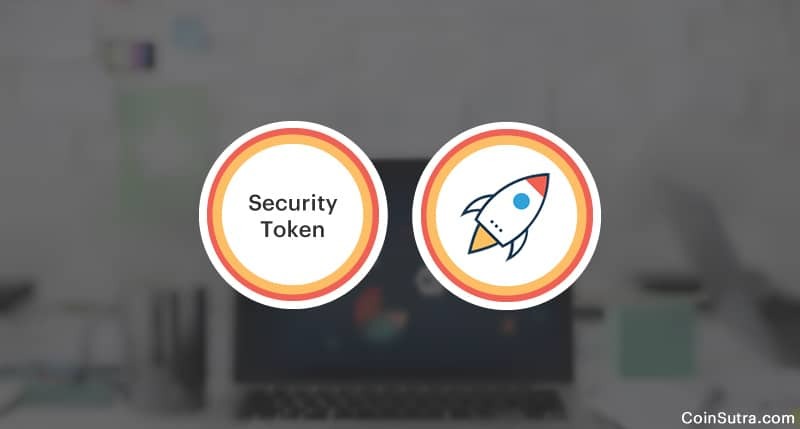 Securitize manages the processing of the solicited investors from login to capital received, as well as the issuance and management of the security tokens throughout the lifetime of the asset. Securitize does this through their DS protocol that works with DS tokens. DS tokens are nothing but ERC-20 compliant tokens that also implements the additional hooks required by the DS Protocol. Harbor is another blockchain platform explicitly designed to launch security tokens and help them comply with the existing regulatory framework. It also helps in the transition of traditional asset classes of companies to move to blockchain and hence in their tokenization. For this, Harbor uses a regulated token system (R- Token). R-Token is a permission token on the Ethereum blockchain, enabling token transfers to occur if an on-chain Regulator Service approves them. Swarm is another real-world asset tokenizing platform powered by blockchain. Swarm provides SRC20 protocol, a cryptographic standard for security tokens to tokenize assets. Tokenized objects include real estates, renewables, agriculture, tech companies, crypto hedge funds, etc., that become “assets” that can be easily managed, governed and traded. The SRC20 protocol defines a specific set of rules that security tokens must incorporate to represent a real-world asset. This standardization also helps developers to build applications that can use such security tokens. are tradable in a regulatory compliant manner. And just like many other platforms Swarm has its native token called SWM to facilitate economic activities on Swarm platform. Securrency is a complete securitization platform for the real-world asset. They have a simple drag & drop process for issuance of tokens with a single click. And then for distribution, you can use their RegTex™ engine can conduct KYC in 160+ countries, AML on both fiat accounts and cryptocurrency wallets, and source of funds and accredited investor verification. Apart from that, they are blockchain agonistic and hence provide you with APIs and abstraction layer called as Securrency’s flexible InfinXChange™ to choose a blockchain of your choice. These platforms are like many other blockchain platforms that we have seen so far for launching ICOs, for example, Ethereum, NEO, Cardano, and Zilliqa; but these platforms aren’t well developed or placed for issuing security tokens. And that’s why I listed the platforms above that specialize in launching security tokens where a new form of ICOs or token sales, known as Security Token Offerings (STOs), can be carried out. Now its time to hear from you: Which of the security token blockchain projects do you like? Do you know any more such exciting blockchain projects? Let us know in the comments below.